“Dancing is a form of artistic expression allowing an individual to be in touch with his inner self.” This propelled him to learn various other dance forms. Having specialized in various Latin American dance forms by now his hobby saw a new face. He then bridged the gap between Latin American dance forms and the conventional Indian dance forms, bringing both the audiences together. 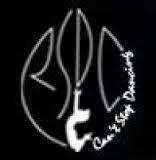 He founded and saw the formal incorporation of a western dance institute, now popularly known as RSDC. Since then there has been no looking back for him. From the time of the establishment of the institute, till date, he has trained more than 15,000 students. Rahul Saxenna's Dance Connection conducts classes in Bollywood Dance Classes, Break Dance Classes and Dance. It is located in Andheri Railway Station, Mumbai. It takes Regular Classes- at the Institute.